The countdown to Mother's Day has begun! Mother's Day in the UK is this Sunday but don't panic as there's still time to get your gifts in time for the big day although you will have to be quick if you want to choose standard delivery as the deadline for some stores is today! Thanks so much to all of the wonderful brands in today's post including: Funky Pigeon, Dust and Things, Love Layla and Max Spielmann. First up, an adorable gift bag from Love Layla. 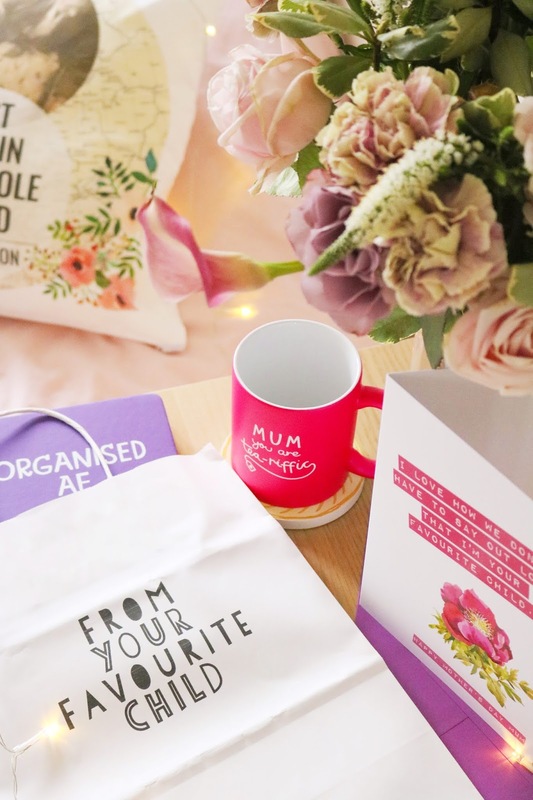 Love Layla is a great site for cheeky, rude, sarcastic and unusual gift bags, greeting cards and gifts for so many occasions, especially Mother's Day. They have a few phrases and designs with numerous products in that design. My favourite is definitely the 'fave child' design which comes in a gift bag, greeting card, print and wine bottle label form. I opted for the cute 'from your favourite child' paper gift bag which is 31cm by 24cm with handles and a simple but cute design. I love the minimal design and while I thought might not be as strong as a 'normal' gift bag, it's surprisingly sturdy and a great size. I've filled mine already with a few easter gifts that I'm giving to my mum this year. There will be an easter gift guide coming soon so stay tuned. Also from the 'fave child' range is a very cute Mother's Day card which came really nicely packaged (as all of the items did). The card has 'I love how we don't have to say out loud that I'm your favourite child' on the front, along with 'happy Mother's Day mum'. I love the phrase as well as the floral illustrations on the card and the bright purple envelope. I never know what Mother's Day card to choose as usually they're all the same or quite tacky but I love this one! Last but not least from Love Layla is this cute and colourful notebook which unintentionally matches the Mother's Day card I chose! There are so many colourful hardback notebooks to choose from for all occasions such as Mother's Day, birthdays and more. 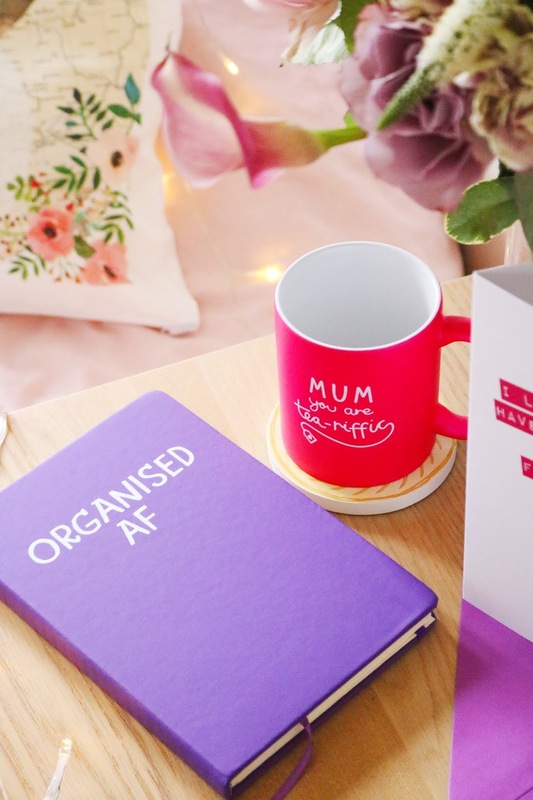 I chose the 'organised AF' design as not only is it a cute, colourful spring notebook but it's perfect for my mum as she's one of the most organised people I know! 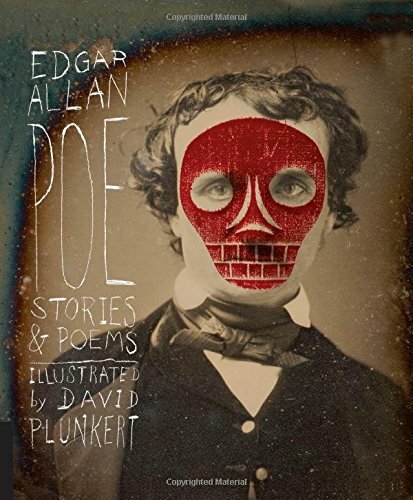 I love the simple design as well as the hardback format which makes it look more substantial and sturdy. I also like the ribbon bookmark within the notebook which is one of my favourite features of notebooks and books. 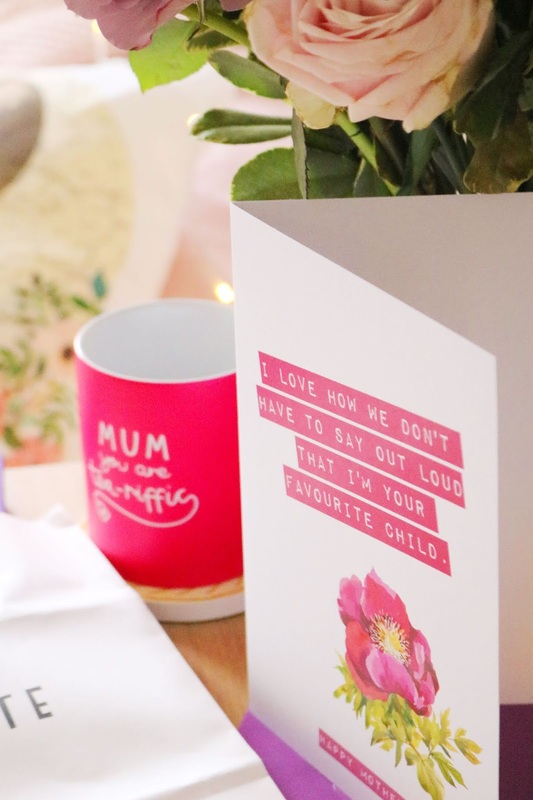 I think it would make a great practical gift and you can choose from a range of phrases, from rude or cheeky options to more funny and sarcastic designs. They offer free delivery on all UK orders and there's free first class postage on most items (Monday - Friday). Another notebook that I cannot recommend enough is a cute personalised notebook from Toad Diaries. There are so many ways in which you can customise this notebook, from the size, line spacing, cover design and the message on the front/back of the notebook. I chose the hardback notebook with medium spacing and the bicycle design from the nature range. I added the messages of 'Susan's Notebook' and 'Happy Mother's Day' on the notebook. I love the bicycle design of this notebook, I think it is such a cute and spring-like design that I know my mum will love too. I also think she'll love the personalisation, as who doesn't like personalised gifts, especially when they're this cute. 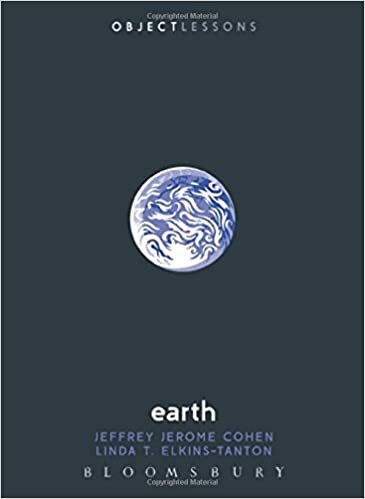 We all know by now that I adore gifting and receiving practical gifts as well so this one notebook ticks all of my gift giving boxes. As I've said, they have so many options to customise your notebook but they also have a range of diaries too which can also be personalised. I'm so impressed with the quality of mine, the design and the price is great! The only thing I wish I could change would be the front and the colour of the front but it wasn't possible (unless I completely missed it in the design process). The designing and ordering process was very quick and easy. Overall, I cannot recommend Toad Diaries enough if you're looking for cute new stationery for yourself or someone else. 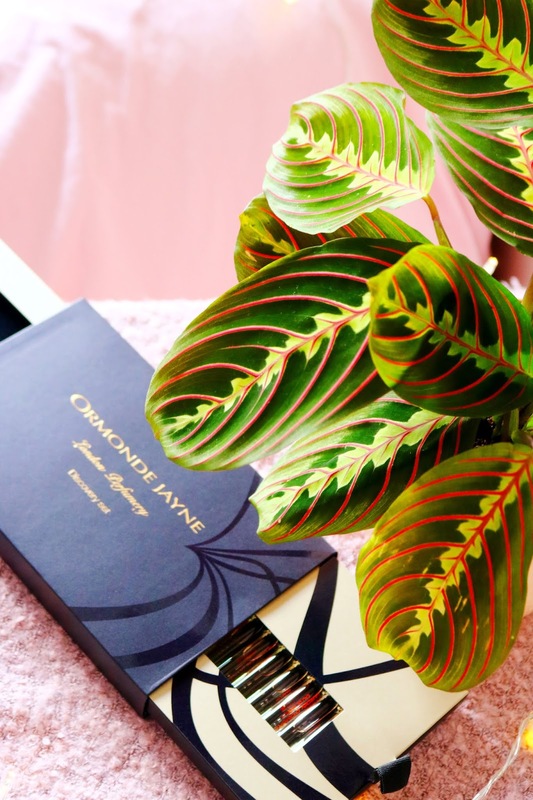 I adore all of the gifts within this gift guide but one of my ultimate favourites has to be this gorgeous fragrance sample set from the luxury brand, Ormonde Jayne. I've been very lucky to receive this beautiful set but I've also tried one of their mini candles - you can see my thoughts in my Christmas gift guide. The Discovery Set contains 12 fragrance samples which are 2ml each and features fragrances from their various gorgeous fragrance collections. 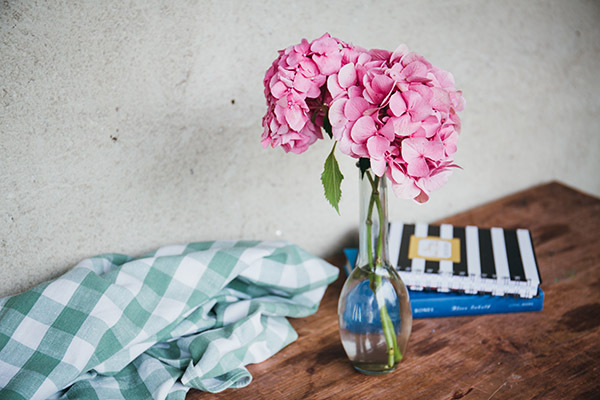 I think fragrance gifts are ideal Mother's Day gifts but they can potentially be a little generic so a discovery set is a great way for your mum, grandma, guardian or auntie, to try a new brand or new fragrances within the brand. I tried a few of their fragrance samples last year as part of a mini set (again, you can read my thoughts within my beauty christmas gift guide) and my favourite of the four was the Osmanthus scent. There are so many to try from this set so it's difficult to choose just one favourite, therefore I'm going to choose my top three from the twelve. My favourites include: True Love, Montabaco and Sensual Love, all three of which are very different and some of the most unique fragrances I've tried! Let's start with True Love which is a very creamy floral and powdery scent (can you tell I haven't read anything about these scents before writing this...), Montabaco which is quite a masculine, woody but fresh scent that I adore and lastly, Sensual Love which is sweet, summery and fruity. Despite all of my wonderful descriptions...I hope you take away my genuine love for these fragrances as they're some of the most sophisticated, unique and almost 'worn in' quality to them, if that makes any kind of sense! They all feel as though they're instantly your all time favourites or classic fragrances with just one use. I also can't stress enough the uniqueness of all of the Ormonde Jayne fragrances I've tried. 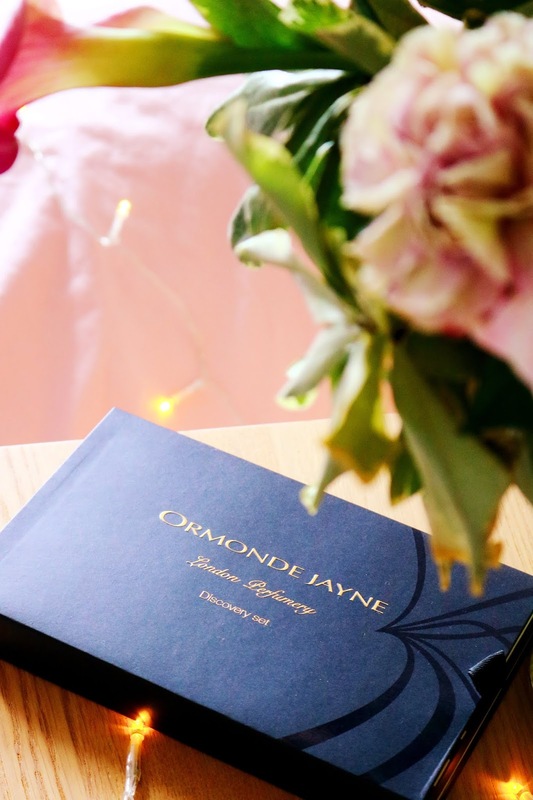 If you're looking for a very unique and luxe fragrance gift then look no further than this beautifully designed set from Ormonde Jayne. Next up are a few wonderful personalised gift ideas, the first is from one of my favourite gift websites, Dust and Things. I've been lucky enough to work with Dust and Things last year and I love everything I've received - I can't recommend them enough for unique and gorgeously designed gifts. 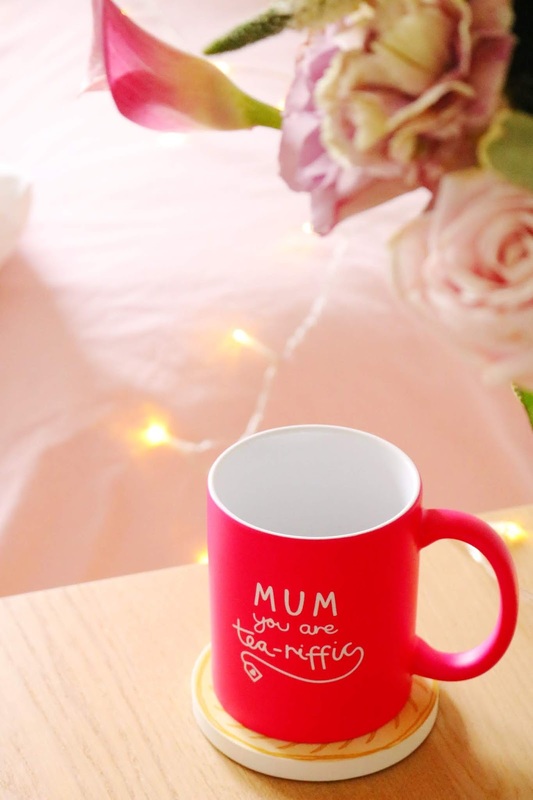 I was very kindly sent this cute, bright pink mug which is a great Mother's Day gift idea that can be filled with tea, coffee, chocolates or snacks! You can personalise the mug in terms of the colour (I have the pink option which is very bright and great for spring) and with a name added to the mug. For the name I added 'mum' but you can add anything you want. The size of the mug is perfect, the font is so cute and I love the bright pink shade. Additionally, you can choose a free greetings card with your order - you have twelve to choose from! In terms of delivery, they offer free worldwide delivery and if you sign up to their newsletter you can receive a free personalised keyring. I love personalised gifts and I think the more unique the gift, the better! 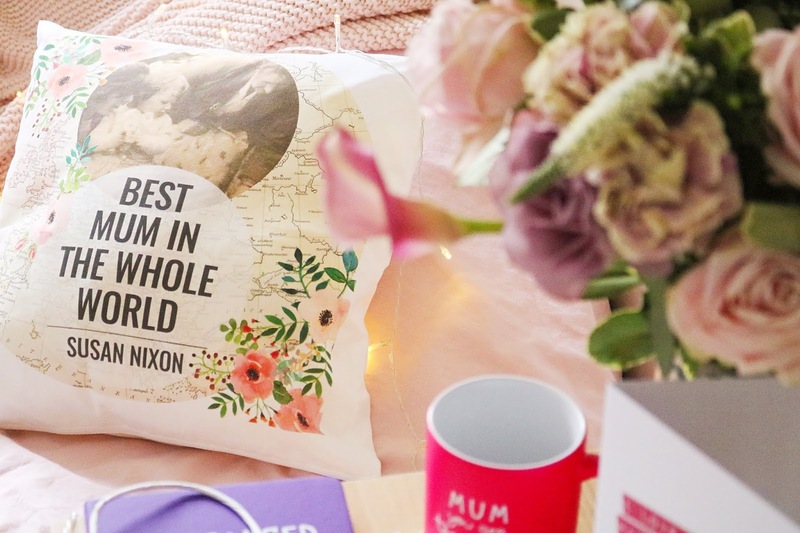 Some of the best gifts I've received have been personalised, unusual or unexpected and I think this gorgeous Mother's Day cushion ticks all of the boxes as it's cute, it can be personalised with a name and photograph and it's more of a unique personalised gift. I've gifted my mum various personalised gifts but never a cushion and I think she'll adore this one as not only is the floral design so gorgeous but it's personalised with her name and a photograph that she loves which features my mum, grandma and great grandma all together. The floral design reminds me of the stunning Rifle Paper Co floral designs (I want to own their entire collection) and it's simple but beautifully designed. I couldn't be happier with this cute cushion and I know my mum will love it too! Funky Pigeon offer Royal Mail first class delivery as well as next day guaranteed delivery so there's more than enough time for you to design and buy your mum a stunning Mother's Day gift in time for Mother's Day. Additionally, Funky Pigeon are running an amazing Mother's Day competition on their social media which you have until the 29th March to enter! Last but not least and one of the largest gifts in today's post! I love gifting homeware especially wall art and canvas as it's so nice to see your gift recipients face when they unwrap it. 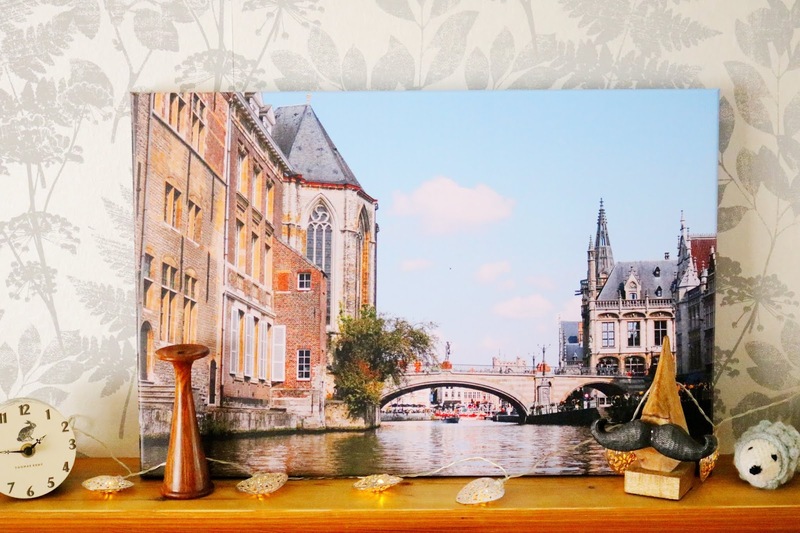 I was very generously gifted to 24" by 16" gallery canvas which features a wrap around design, 3.8cm deep wood frame and HD printed photograph of your choice. There are so many canvas size options to choose from including a few which can be ordered and printed read for collection in-store hours later which is amazing, especially if you are a last minute gift shopper. I've been lucky enough to receive a few canvases over the past few years to review from various companies and this one has to be one of my favourites as the quality is fantastic and I'm very impressed with the image quality! For each canvas I've received, I've always been cautious about how the image will turn out but I didn't need to be with this canvas as the image came out so much better than I thought it would. 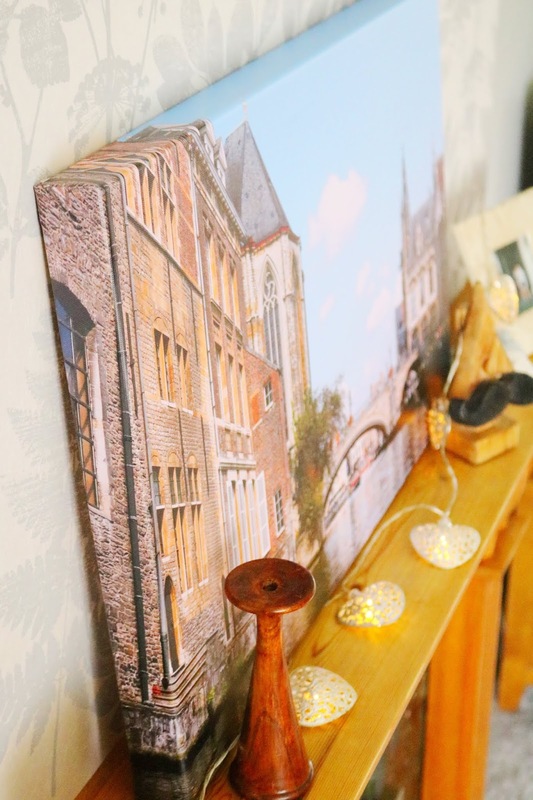 I'm very happy with my canvas, it looks so nice in our living room and I know a cute canvas featuring a holiday or important memory would make a lovely Mother's Day gift. I cannot recommend all of these companies and gift ideas enough and if you do want to order any of them, make sure you order very soon so that you will receive your order before Mother's Day this Sunday! Also make sure you enter the Funky Pigeon competition before Friday. Check out my video below for a close up of all of the gifts in today's post. 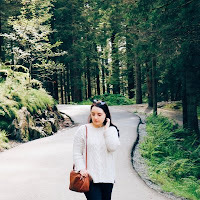 What do you think of my Mother's Day gift ideas? It all looks so good! Loving the mug! I love the 'fave child' card! These are such gorgeous ideas! I love the fav child items!